Variety is a subdivision of kind, group or family that is distinct in some characteristics. All plants will show a common set of morphological, physiological and other characteristics that are different from other varieties. The variety must be constant and they will remain unaltered, within reason of their characteristics, when they are reproduced. Cultivar is a term derived from ‘cultivated variety,’ a population of cultivated plants that are clearly distinguished by specific characteristics. All plants will show a common set of morphological, physiological and other characteristics so when they are reproduced, either sexually or asexually, they will still retain their distinctive characteristics. A “strain” is not a scientific botanical term, though seeds sold are nothing more than hybrids of hybrids and referred to as strains. The word “strain” is a general term that is applied to selections of cultivars or varieties. Open pollinated varieties are non-hybrid populations that are reproduced by random pollination. Whether in outdoor gardens or indoor gardens, pollen is carried by the breeze and pollinates female plants. Open pollinated varieties are developed through many years of selective planting and seed saving, varieties are non-hybrid. Heirloom varieties are nothing more than a variety that was liked for what it was and kept and handed down for generations. Heirloom varieties are non-hybrid (open-pollinated) which means that they breed relatively true and every year they are very similar to the generation before. Multi-line is two or more pure breeding lines that differ in a small part of the overall phenotype (maturation, disease and pest resistance, etc). These are grown and bred separately, but end up being mixed together in the same seed package. These work well for new growers or growers who are unsure if a certain variety will work for their area with the climate, as well as provide a variety. 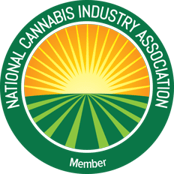 This entry was posted in Cannabis Industry, Cannabis Topics and tagged breeding cannabis guide, cannabis genetics breeding, cannabis genetics database, cannabis genetics map, cannabis genetics strain guides, dna genetics strains, dna genetics strains. blue dream phenotypes, marijuana genetics chart, marijuana genetics research, og kush phenotypes, selecting phenotypes, strain genetics definition.